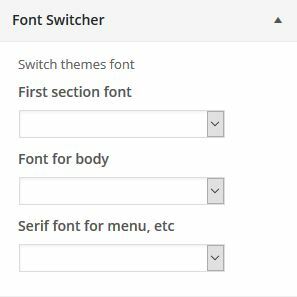 You can also easily change font family to match with what you need by using Fonts options on customizer. By seeing effect live on another panel, you can determine which font that fit with your need. First Section font– Mostly used for readmore text, mobile menu header, portfolio title, article meta on article meta.